In the last four Qatar crushed the hosts the United Arab Emirates 4-0. The Qataris have never progressed beyond the quarterfinals before this tournament, but their fast paced movement spearheaded by Akrim Afif and Ali Almoez has taken the Asian Cup by storm. They overcame staunch opposition, defeating former champions Iraq, Saudi Arabia and the hosts UAE in a series of war games. Qatar boast a young squad and remain a work in progress ahead of the 2022 World Cup, but Felix Sanchez’s side has laid down a marker in the Asian Cup. The Spanish coach acknowledges that they face their toughest 90 minutes yet. Sanchez has enjoyed a longstanding relationship with some of his players having coached Qatar’s youth teams in the past. The Qataris have steadily closed the gap with the Asian elite, something stats in this competition backup. The Al Annabi remain unbeaten, having scored 16 goals without conceding. Ali Almoez is the tournament’s top scorer with eight goals, equalling legendary Iranian striker Ali Daei’s 1996 record. He was seen as flat-track bully during the group stages, but showed his lethal instincts against the UAE in front of a hostile shoe-throwing crowd. Japan endured a sluggish start to tournament, slogging their way through the group stages with narrow wins before edging both Saudi Arabia and Vietnam in the knockout stages. The title credentials of Hajime Moriyasu’s team have been questioned by large sections of the media and fans back home, but his eleven excelled against Iran in the last four to run out 3-0 winners and silence all criticism. It has been an impressive build throughout the tournament. The Japanese’s clinical and organised display against Iran was too much for Iran to deal with. Queiroz’s team suffered a mental breakdown as Japan kept their cool and relied on the goals of Yuya Osako and the solid defending of both captain Maya Yoshida and 20-year-old Takehiro Tomiyasu, who plays his club football for Sint-Truiden in Belgium. They neutralised impressive striker Sardar Azmoun each and every time Iran hoofed the ball forward. They will be the favourites going into the final after their impressive semi-finals win. The East Asians can make history on different levels, cementing their position as Asia’s best team in history by extending their trophy haul to a record fifth Asian title. On a personal level, Moriyasu can become the first man to win the continental trophy both as a player and a coach. He formed a part of the Japanese team that claimed their first-ever Asian Cup in 1992 when Takuya Takagi’s goal was enough to see off Saudi Arabia in the final on home soil. 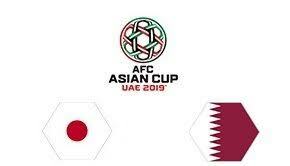 Ever since that maiden victory the Japanese have dominated Asian football, winning the Asian Cup in 2000, 2004 and 2011. Moriyasu took over the Samurai Blue last summer after Japan reached the knockout stages of the World Cup as only Asian representative. Moriyasu is rebuilding Japan with an injection of youth players, but given some of the tepid performances during the tournament the mood around the Japan team has been strangely subdued in the UAE. That low-key environment has been a benefit for Japan, who have taken advantage of their ‘underdog’ status to grow during the tournament.